While many believe a wedding is all about moments and emotions, I think it is as much about how beautifully and artistically you capture the essence of those moments in your frames. 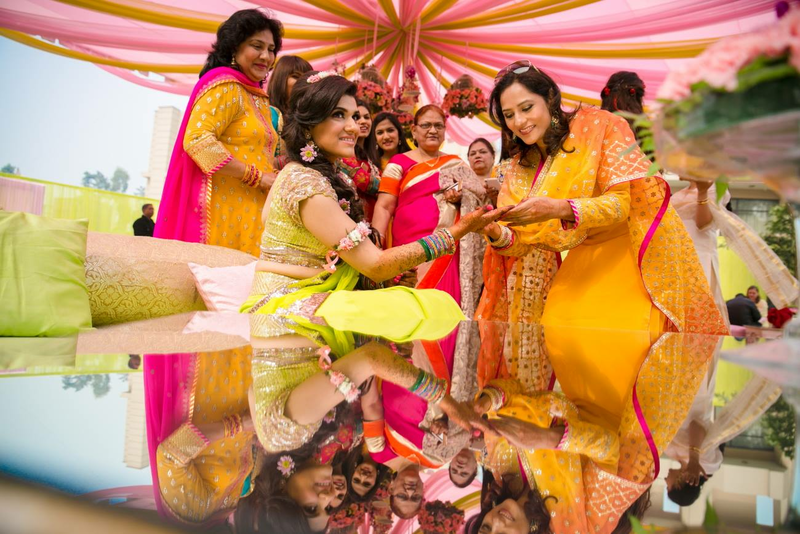 So, what do the best wedding photographers in India really capture? It's not a question that can be easily answered! But as you're intrigued and wondering what I spend my time focusing on, at all those beautiful destination weddings, I'll attempt to answer this with all my honesty. 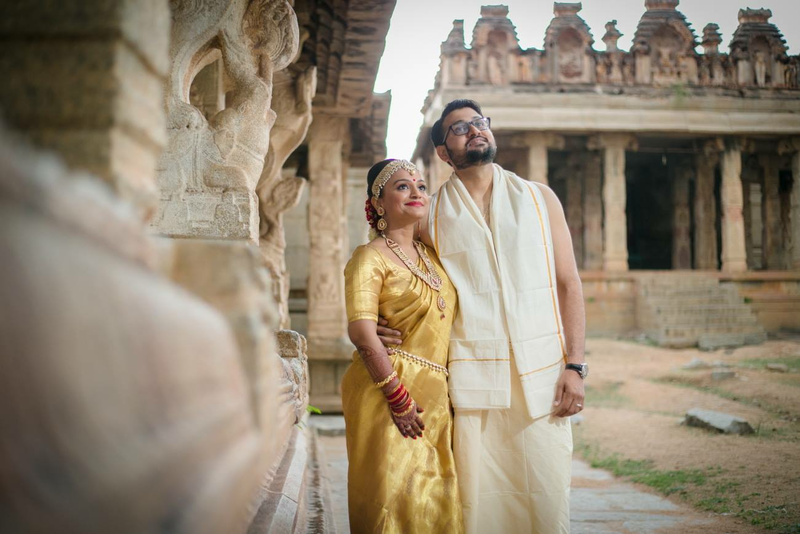 What Emotions mean to Wedding Photographers in India? 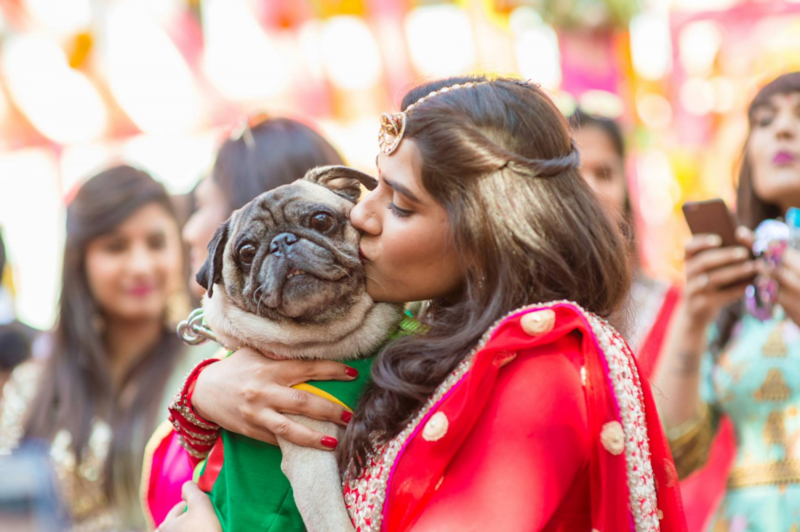 Firstly, to be a part of the family and identify with the couple, their parents and dear ones. Unless we empathize with you as your own, we just can't feel what you're feeling and our pictures cannot represent what they should. Secondly, and more importantly, the best wedding photographers will try to become your 'invisible shadow'. This is because we want to be around you at all the times, so we don't miss out on any big moments and yet we want to do it in the most non-intrusive way possible. Being invisibly present means we let you feel and express your genuine emotions like we're not even there. So, gone are the days of orchestrated 'smile please' moments! 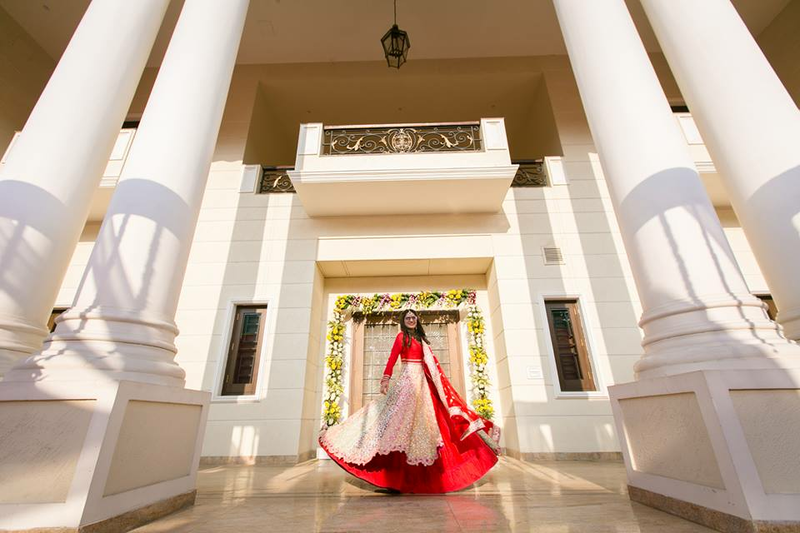 We believe in letting your emotions flow freely and in capturing them cinematically. And that gives you priceless memories in terms of the most beautiful pictures. Which Moments should Wedding Photographers capture? Well, the best wedding photographers in India try to capture it all - the rituals, the running around, the family bond, those sudden outbursts, those 'meeting you after ages' hugs, the last minute crises, the mayhem, the bride and her sister, the groom and his gang, the emotional father, the beautiful mother daughter bond. 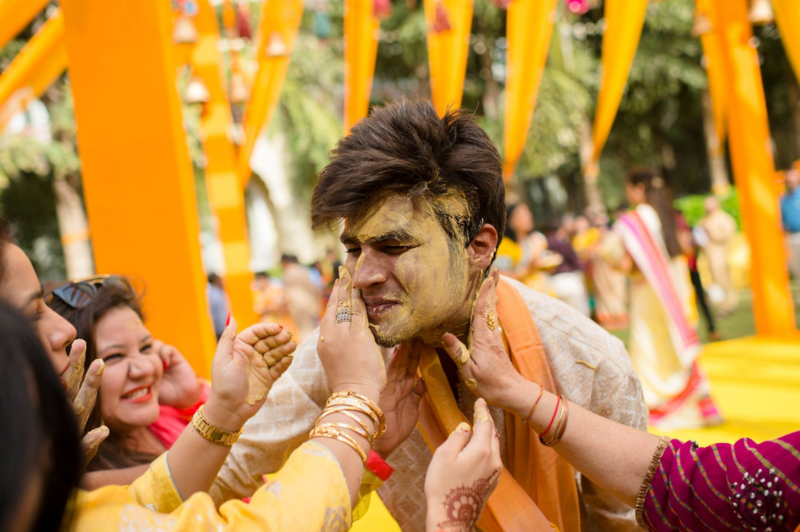 And then there are the big moments - your entry, haldi, mehendi, varmala, vidai! What we do, is split our team into specialists - spread geographically and logically. So, if I'm focusing on the bride, my partner is covering the groom, someone from my team is covering your parents and family, someone else is at the fun pool and drinks zone with your friends and someone else is focusing on the decor and grandness of the venue and the whole wedding. Then does the Frame really matter? As much as all those emotions mean to me as a wedding photographer, I'll be brutally honest and tell you that the frame is equally important too! As a photographer, I'm always looking for lines. In the background, foreground, as a defining character to set the structure to every single picture. So you'll see railings, walls, ceilings, windows, the horizon and almost anything linear setting the scene for your pictures. Perfect light is to a photographer, what a pen (or iPad!) is to a writer. It's a tool without which we cannot create magic. Too much light and exposure is as bad as too little or faint light. So knowing, and being able to carry and play with our lighting equipment matters. While I might need soft, warm light to create a perfectly romantic scene; I'll use more intense lighting to create bold portraits. If it's an outdoor venue, we love capturing it in the ethereal natural light just before sunrise and just before sunset. And for everything else, we need our lighting equipment. Period. 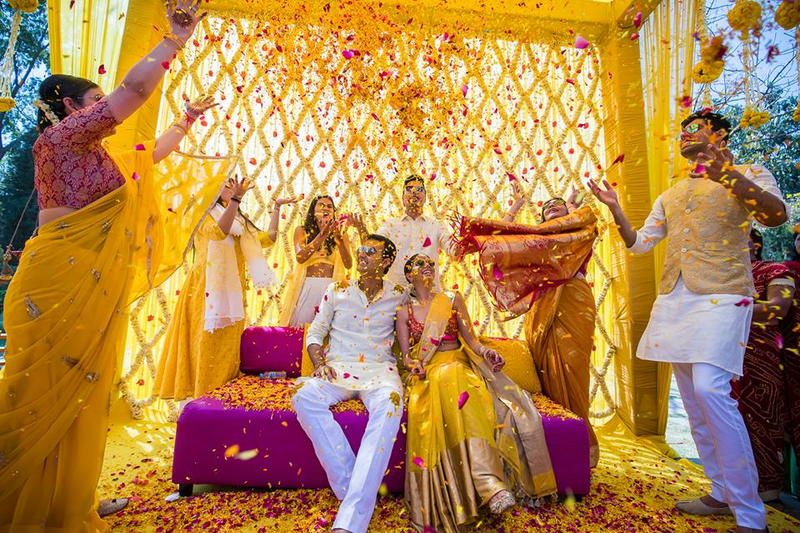 A typical wedding is full of props for an Indian wedding photographer - from the floral decor to the hanging chandeliers, the soft drapes, the beautiful mandap, those winding staircases, the dolled up corners, the pooja thaali, the desserts counter! Everywhere I look, I see something that I can use to add a story to your pictures. And that's what they should do, add more dimensions to your memories and make them more personal. I think every wedding photographer worth his name goes to great lengths to capture a picture from different perspectives! The same moment can talk of grandness and opulence when captured in a certain (think high up) way. And the very same moment might look like a simple emotional connection if captured from an up close perspective! All of these very important components come together to define the frame of your wedding pictures. In conclusion, what I'd like to say is, as a wedding photographer, my effort is to capture your beautiful memories in the most stunning frames. So, a little bit of eye contact, honest smiles, a bit of luck and a lot of hard work and technique goes into making what you can call the perfect wedding album!